The best way to monitor your dog’s diabetes is with home blood glucose testing, which is a lot easier to do than you might think! To see video of two dogs looking bored while having their blood sugar tested, click here! This type of testing gives you the most information about your dog’s blood glucose levels and is the only way to determine at home whether his blood sugar level is too low. In addition to checking your dog’s blood sugar when you are concerned about it, you can complete blood glucose curves at home to assess how well balanced your dog’s food and insulin are. A CURVE is a simple series of blood glucose checks. 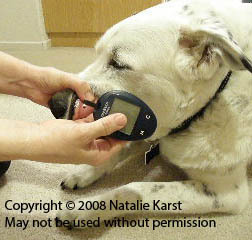 Start just before you feed and inject your dog by checking the blood sugar with a meter. Then check the blood sugar again every hour or two hours until the next meal and injection, longer if possible. 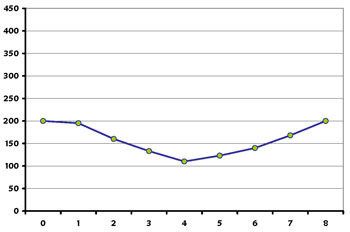 This is a sample of a good curve—the blood sugar stays in a narrow range between 100 and 200 mg/dL. People who have diabetes monitor their blood sugar with a small portable meter that tests a tiny drop of blood for the amount of glucose it contains. You can use the same meters to test your dog, with some comparisons and possibly adjustments to the readings to account for some differences between the blood cells of dogs and people. There are also meters that are pre-adjusted for dogs to reflect the average difference. However, since your dog may not fit the average and these meters are much more expensive to purchase and use, we recommend starting home blood glucose testing with a regular meter set for humans. The meter itself is often free or nearly free after a rebate. The test strips, which are the long-term cost of home testing, are much less expensive for the meters people use. Once you are proficient at home testing, you can always transition to an animal-adjusted meter if you are not satisfied with your results using a regular one. Meters that have been frequently and successfully used to test a dog’s blood sugar include the OneTouch Ultra, Ascensia Contour, Freestyle, and Precision Xtra. In addition to purchasing these meters and test strips at pharmacies, they can be ordered online, often at better prices. One online pharmacy that has proven to be dependable and reasonably priced is hocks.com, where you can also purchase insulin, syringes, and urine test strips. AlphaTrak (also available online from Amazon and many of the pet retailers), is an animal-adjusted meters that has been calibrated to more closely approximate a dog's blood sugar. There are a few other animal-adjusted meters available but AlphaTrak is the only one recommended for use at K9diabetes.com. Regardless of which type of meter you choose, you should have a handful of comparisons done between your meter’s readings and a lab analyzer. You can have your vet draw blood and put a drop of that blood on a strip in your meter or you can test your dog’s blood sugar with your meter during the vet visit. This comparison will tell you how close your meter’s readings are to lab values. There is no way to know in advance how close your meter will be. There is considerable variation dog to dog and meter to meter and the readings your meter gives can be anywhere from equal to lab values to slightly different (usually lower) to significantly different (again, usually your meter will give lower readings than the lab). In Chris’ case, the OneTouch Ultra gave the most accurate readings for the meters we tried. In his case, the OneTouch Ultra is a reliable average of 30 points lower than lab values, with the range of individual values being between 15 and 45. We have been using this meter since 2004 with excellent results and have performed all of his curves since we began home testing. 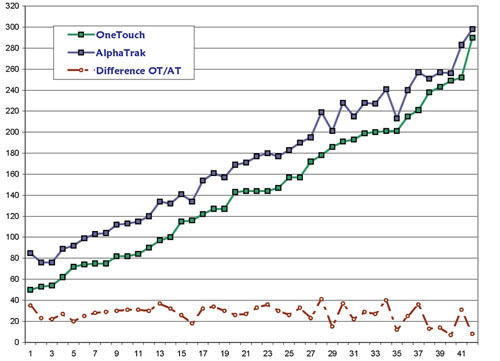 This chart shows comparisons made by testing Chris with different meters on a single sample of blood where the OneTouch Ultra was compared to the animal-adjusted AlphaTrak. Again, it's important to understand that you will have to test your meter with your dog to know how accurate it is for you. Even if your meter readings are quite a bit different than lab values, a meter tells you one thing that no other testing or monitoring tool can—when your dog’s blood sugar is low. If your dog is trembling, stumbling, or antsy, for example—some common signs of a dog with low blood sugar—you can test to find out for sure. It provides the security of KNOWING what your dog’s blood sugar is when needed. Upper lip – You can use the inside, outside, or edge of the upper lip. Sounds painful? Actually, dogs have very few nerves in that area and they generally have no problem with being tested there. Chris is tested on the inside upper lip on both sides of his nose, usually about a half an inch in from the edge of the lip around the vicinity of the canine tooth. Click here to see videos of Chris and Starz being tested on the lip. This location is most often used with medium to large dogs but can also be used with small dogs. A lancing device usually works well here. Back at base of tail – This is the place we see most small dogs being tested. You can shave a small patch of skin so that the fur won’t interrupt the bead of blood and a very thin layer of Vaseline on the skin will allow the blood to bead nicely. For this spot, you may need to use a lance freehand rather than in a pen-type lancing device. Click here for a tutorial on how to test at the base of the tail. Elbow callous – For medium to large dogs with a callous on the elbow, this is a popular place to test. Usually the skin will be too thick to use a lancing pen so you will probably have to use the lance freehand. Ear – Vets often suggest the ear for testing but generally it’s not the easiest place to obtain a drop of blood from a dog. It works well with cats, which have a strong supply of blood vessels in the margin of the ear. It can be done with some dogs but usually isn’t the best place to start. Videos and tutorials for these methods are available on the Videos page. A less informative way to measure your dog’s average blood sugar over a few hours at a time is urine testing. Glucose spills into the urine whenever the level in the blood rises above about 180 milligrams per deciliter (mg/dL). Inexpensive strips called Diastix and Ketodiastix can be purchased at a pharmacy. You then can collect a little urine (a soup ladle works well for this and you don’t need very much at all; in fact, you can insert the test strip directly into the stream of urine if your dog is cooperative) and test it with the strip, checking the color change that indicates how much glucose is in your dog’s urine. For a brief description of Keto-Diastix, made by Bayer, click here. Urine testing is not very precise because it doesn’t tell you anything about how long your dog’s blood sugar was below the 180 mg/dL threshold. Also, there isn’t a direct correlation between the reading on the strip and your dog’s blood sugar at the moment. The bladder collects excess sugar from the blood over however many hours it has been since your dog last emptied her bladder. Plus there is lag time between high levels of blood sugar and that sugar being flushed into the urine. Urine testing is most useful as an inexpensive way to monitor a dog whose blood sugar levels are already controlled. You can catch a loss of good blood sugar control by testing urine. The fact that the urine strips can’t tell you anything about blood sugar below 180 mg/dL is a significant limitation. If you dog’s diabetes is well controlled so that the blood sugar is nearly always below that threshold, he will always have a negative urine test. And there is no way to distinguish whether his blood sugar is 150 or 45. So you have no way of knowing if your dog’s blood sugar is going too low using strictly urine testing. The least technical and least detailed way is simply to observe your dog’s behavior and monitor his weight. The excessive thirst and resulting need to urinate that characterize uncontrolled diabetes subsides once you start giving insulin and, when the insulin dose is adequate, your dog will be able to maintain a stable weight and look and feel healthy.  NOTICE: The content on this site is provided for informational and educational purposes only. While we make every effort to present information that is accurate and reliable, the views expressed here are not meant to be a substitute for the advice provided by a licensed veterinarian. Please consult your veterinarian for specific advice concerning the medical condition or treatment of your dog and before administering any medication or pursuing any course of treatment that you may read about on this site. Copyright 2008–2016. All rights reserved. Photographs may not be used without permssion. For more information, contact K9diabetes.